This tarif is for customers who are going to use 2 days entrance into the Therme Erding and for guests who aren’t using any kind of vouchers for the entrance to the Therme Erding. Tarif is for customers with vouchers for the entrance of Therme Erding or for guests who won’t use the Therme Erding during their stay. We are redefining the term sauna: Come and experience the combination of holistic wellness and healthy sweating without swimming costumes. On your “journey around the world” of 27 saunas, you will discover places like the rustic Alpenstadl, the Russian Banja, the new Lake Sauna in the garden, traditional Roman bathhouse culture, or mystical Stonehenge. Our daily programme awaits with around 90 complementary features like infusions with essential oils, singing bowl ceremonies, or salt peelings. 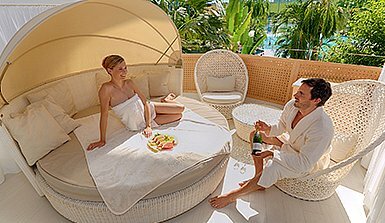 Between sauna visits, you can treat yourself to a cocktail at the pool bar as part of your thermal bathing experience, or relax on comfortable loungers under real palm trees. If you are looking for something special, the Royal Day Spa Lounge & Dreams is the place for you. In our Lounge Area, you can book a DreamIsland for your day, or enjoy an exclusive service package in your private suite. Find out for yourself how varied and exciting a sauna experience can be – at our shop, you’ll find just the right voucher for lounges and admittance! Round your perfect wellness day off with a relaxing massage. 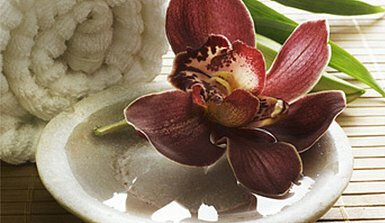 With our diverse massage & beauty treatments, you can be pampered from head to toe and immerse yourself in other worlds. Secure now your massage voucher to redeem yourself or give away.